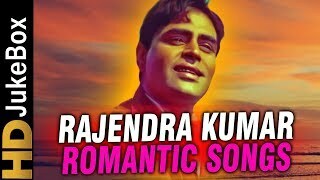 Rajendra Kumar Tuli (20 July 1929 – 12 July 1999) was an Indian film actor who starred in Bollywood films. Starting his career in 1950, he appeared in more than 80 films in a career spanning over four decades. He was considered one of the most successful Indian Bollywood actors in the 1960s. He also produced several films starring his son Kumar Gaurav. The Government of India honoured him with the Padma Shri in 1969.